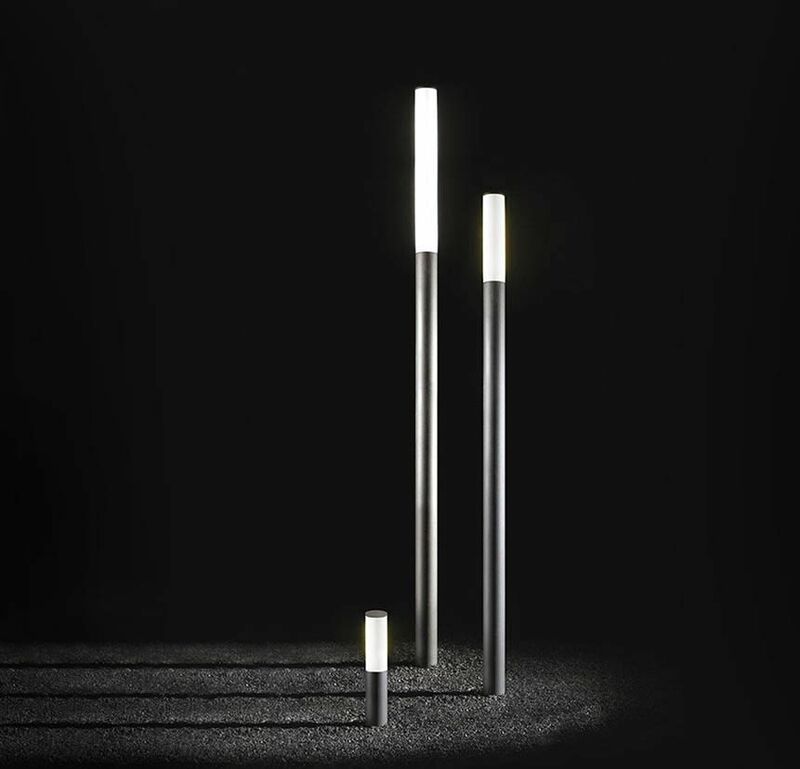 Cylindrical outdoor column lamp, providing uniform and indirect lighting. It comes in three finishes: 316L brushed stainless steel, metalised grey or texturised bronze. Anchoring kit available. Other finishes, measurement and emergency kit available. LED version: smart timer, optional.